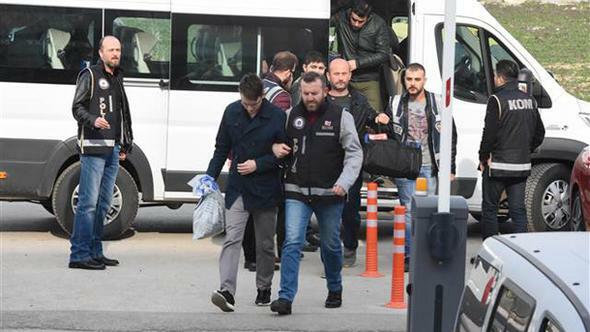 A total of ten teachers who were claimed to be using ByLock, a smart phone messaging application, were arrested as part of an investigation into the Gülen movement, pro-gov’t daily Karar reported on Sunday. Turkish prosecutors claim that Bylock is the top communication tool among the members of Gülen Movement, which the government accuses of mastermind the July 15 coup attempt. Thousand has so far been jailed for using the application. A Sivas court ruled for the arrest of 10 out of 15 teachers who were detained earlier while the remaining five were released pending trial. Labor and Social Security Minister Mehmet Müezzinoğlu told reporters in Bursa on Sept. 14 that the Turkish intelligence agency had determined the identity of nearly half the 180,000 users of ByLock in Turkey. Opening an account at Bank Asya after the Dec.17 and Dec. 25 corruption operations and using the ByLock applications are mentioned as the basic criteria for pursuing the witch-hunt against the Gülen movement. The government accuses the movement of masterminding the July 15 coup attempt. Since July 15, more than 130,000 people have been purged from state bodies, nearly 95,000 detained and 47,000 arrested since the coup attempt. Arrestees included journalists, judges, prosecutors, police officers, doctors, court personnel and even a comedian.